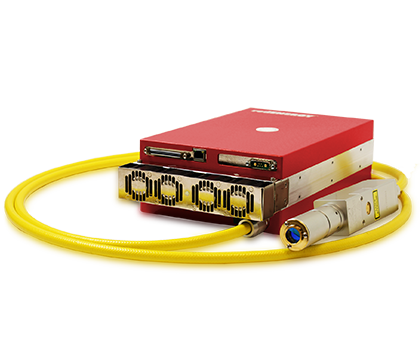 The pulse control offered by our range of redENERGY G4 Pulsed Fiber Lasers can be used to create a sub surface black mark on clear anodised aluminium. Many parts are increasingly supplied with a simple clear anodised layer and this can pose a problem in getting good contrast for marking. Conventional engraving techniques whereby the anodised layer is removed, reveal a white or silvery grey aluminium base material that can be difficult to see. By careful pulse parameter selection using our waveforms and processing conditions, a range of dark marks can be made with significantly higher contrast. The surface of these dark marks can be from smooth to lightly textured to give a “leatherette” finish that is different to a standard engraved mark. These marks are highly dependent on the aluminium grades and the types of anodised coating used, and optimised process conditions need to be identified. Once the conditions are identified they are highly repeatable and production ready. This marking regime can also be used to create a range of marks from white through grey tones to black. 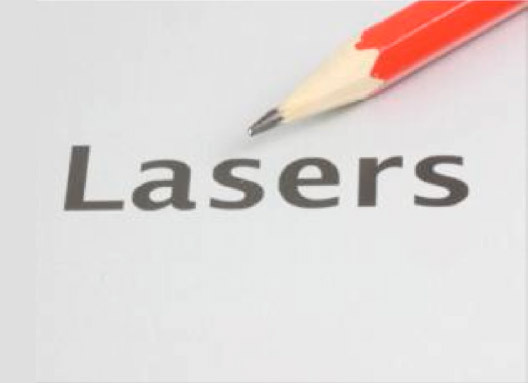 Improved quality can be achieved with our redENERGY G4 Z-type Lasers.